Are you looking for the best crystal cat litter? There are many cat owners that are becoming interested to try this because of the positive feedbacks coming from others. Crystal cat litter is made from silica gel and is effective for the needs of many cat owners in getting rid of smell and mess that the cat creates in the house. This is a great absorbent of urine and can help in reducing the relative humidity in the container. If you are worrying about clumping as it affects the health of your cat, then this could be a great alternative for you. It can easily soak up the liquid and dehydrates the solid feces of your cats. It has more moisture compared to other litters on the market. It greatly helps in allowing you to scoop less and change the litter easily. It provides a balance liquid absorption as you don’t have to deal with messy litter and you can have more time to attend to the other needs of your cats. It can last for about a week to a month, which makes it unique and ideal to all cat owners. Buying the best crystal cat litter is easy if you have the knowledge about the different options that you have. There are many companies that are offering this product on the market, and to find one that is best for you, make sure to check out our list below. The PetSafe ScoopFree Premium Crystal Cat Litter comes in two packs that can last for a week’s worth of use. This is very easy to use, and you don’t even have to use all of it in one go. You can have half of the pack on the litter box of your cat, then keep the remaining half to avoid losing the freshness of it. Many cat owners love this product because it is convenient and comes with a price that fits their budget. There is no dust to worry about and it is completely hypoallergenic. It is recommended for cats that have allergies, as it helps them to have a clean air and environment in the house. The scent is mild enough to easily attract your cats. This is extremely absorbent and can absorb the urine of your cat fast. It is five times better compared to the traditional clay and is a great investment to consider. However, it can stick to the fur of your cat as it starts to absorb the urine. This can make the cat interested in cleaning themselves. It is extremely absorbent. It does not have any dust to worry about. It comes with a mild scent that is appealing to your cats. It comes in two bags to easily preserve freshness. Some cats don’t like this on their paws. The Fresh Step Crystals Cat Litter is highly recommended because it helps in locking the odor 5x better than any other crystal cat litter that you can find. It is designed to release a fragrant smell and kill the scent of your cat’s feces once the crystals have been activated. This means that it can help in blocking the bad odors from the litter box and eventually kill the bacteria. This cat litter is soft and comfortable for the paws of your cats. They are not going to be bothered by walking on it. However, the crystals can start to become hard once it absorbs the urine and the waste of your cats. You still need to consider that your cat might prefer something softer. There only a little dust, so it is still safe for cats, even to those that are suffering from allergies. It comes with motion-activated fragrance. It kills the bad odor and bacteria fast. There are little to no dust. It is highly recommended by many pet owners. The urine can build on the bottom of the box. The Ultra Pet Cat Litter Pearls Micro Crystals is a great crystal cat litter that is known because of its power to control the odor of your cats’ wastes. This means that you don’t have to worry about any foul smell on the litter box as it can completely cover it up. It is quite pricey compared to the other options available, so make sure that this is really the best for your cat before purchasing it. According to the company, one bag of it can last for three months’ worth of use. It comes with very absorbent crystals that can keep the urine of your cats from settling at the bottom. This is a tracking-free cat litter that can give assurance on the results that you need. It can make the litter box look fresh again after scooping or vacuuming the solid waste from it. It is very soft and tender on the paws of your cats, so you can expect for them to walk on it and be confident. However, this is not recommended for cats that have sensitivities as it comes with dust that could possibly bother them. It helps in controlling the odor of the litter box. It is not hard to clean and maintain it. It is soft and gentle for the paws of your cats. If you are on a tight budget and is looking for an affordable option, then you can get the Just the Crystals Premium. This is one of the best crystal cat litter out there that can help you save bucks from your purchase. It can last for a longer period and will absorb lots of urine and water content before you’ll be required to change it out. You might want to change it even before the crystals are all used up because it can be a mess if you won’t attend to it. The smell can easily overpower the urine from the litter box, and it is ideal for many cat owners that can’t withstand the smell of a used litter box. It does not have any fragrance that can irritate your cat and has been proven to be safe and effective. If you have cats that always smell like poop or fart, then you can place the litter box in a ventilated area, so you can easily get rid of the smell, or you can also look for a non-tracking litter as an alternative. It can last for a very long time. It is known to be extremely absorbent. It does not come with strong fragrance. It is safe and recommended to all cats. It can start to smell if you’ll leave it unattended for quite some time. It needs to be used in an open area. For first time users, you are going to notice that this litter can create a lot of dust. It is being offered at an affordable price and helps you to get rid of your cat’s waste easily. It is super absorbent and that is the main reason why there are many people who are still interested in using this. It does an excellent job of absorbing the urine and liquid content of the waste of your cats. This is helpful as you can easily leave the litter there and change it out when you already have the time. It won’t cause a mess as all the liquid content would be soaked up and you can scoop it out later. This is recommended for cat owners that are busy and may only have time at night to clean the litter box. The crystals are very soft and won’t cause problems to the claws of your cats. This is still recommended even for cats that have sensitive paws as the crystals are soft and gentle. It can easily absorb the urine of the cat. It is gentle and soft for the claws of your cats. It is a great absorbent. It creates lots of dust. It is not recommended for cats with allergies. If you are looking for a non-clumping litter on the market, then you can check out Precious Cat Long Haired. It is a popular choice for many cat owners that have long haired cats as it can help them to manage their waste effectively. This is quite expensive compared to the other options available, but it can be worth it, especially for the health of your long-haired cats. This is specially designed for long-haired cats that are struggling in keeping their waste properly. They tend to have their waste stuck on their fur and cause problems to you. The Precious Cat Long Haired helps in maintaining the litter box and controlling the odor of it. It does not track too much, and you can manage it easily. It is a lightweight product that you can easily change when needed, and you can be assured of the cleanliness of the litter box. You can keep it fresh and clean for your cats. It is ideal for long-haired cats. It helps in controlling the odor on the litter box. There are cats that don’t like this. The Pro Sense Fresh Results Crystal is a silica gel based cat litter that can perform like any other types of it on the market. It is recommended by many people because of its capacity to lock the odor and help in maintaining a fresh litter box for your cats. It is great option to consider, and you can easily manage the waste of your cats with the help of it. It is a clumping cat litter that can cause tracking around the house which you need to be careful of. You can invest in a reliable litter box to avoid this. The crystals can lock the odor and absorb the moisture on contact for a longer period of time. As claimed by the company, it can last for a month of use and it is easy to sift through with a scooper. It is also made to be soft for the paws of your cats, so you don’t have to worry about making them uncomfortable when using it. It keeps your litter box fresh and clean. It absorbs moisture on contact. It is soft and comfortable for your cats. It can track around the house. When choosing a cat litter, it is often recommended to consider crystal cat litters because it is very efficient for the needs of your cat evens is they have asthma. The crystals aren’t actually crystal, but it is made of silica gel that starts to form crystals once it absorbs liquid from the litter box. 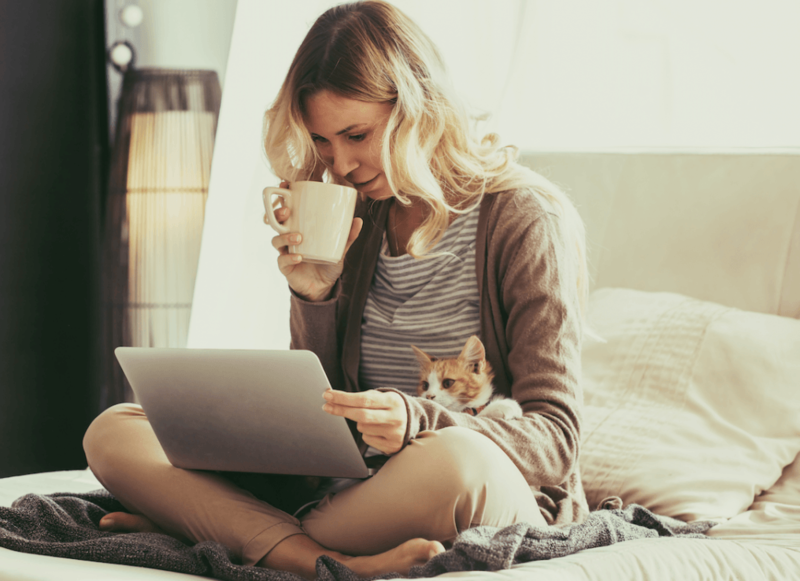 There are different companies that are offering this to cat owners and to know if this could be right choice for you, check out the following things below. It is clean and dust-free: The silica that is used in the crystal cat litter is considered non-respirable and non-toxic. This does not create a single dust that can cause problems to your cats. If your cat is suffering from respiratory problems or allergies, then this would be a great option to consider. It also minimizes the growth of mold and bacteria in the litter box. It is hypoallergenic: When your cat has allergies, using clumping clays are not recommended. It comes with dust that can possibly trigger the allergies of your cats. Good thing, crystal cat litter are hypoallergenic and does not come with things that can irritate your cats. It is easy to handle: The crystal litter is often light and easy to handle. Clumping clays tend to be heavier and gives a hard time to most of the cat owners. With this feature, it can greatly help in maintaining the litter box easier and faster. It is a great absorbent: When you are scooping the feces of your cats, it can be messy, especially because of the urine and the water content of it. With the use of the crystal cat litter, you don’t have to worry anymore because it is a great absorbent. It is recommended for cat owners that will leave their cats alone for the whole day and don’t want to deal with a messy litter box later. You’ll find a lot of cat owners talking about the crystal cat litter, and you may wonder if it could also be the right choice for you. The thing is, it depends on your cats. It is not new for many owners to know that most of their cats don’t like the crystals on their paws. Their comfort is the first thing that you need to consider when it comes to buying their litter. This cat litter is not recommended for kittens as it can easily irritate them, the worst thing that can happen is for them to have trauma and may not want to use the litter box again. The crystal cat litters may often come with large granules that can be sharp and may harm the paws of your cats. They hate to walk on angular and jagged crystals as it is irritating for them. Although there are some manufacturing companies that have created crystal cat litter with soft granules that can be ideal for your cats. This is a great alternative for common clumping clay products if you are more concern about the cleanliness of your house. Moreover, the crystals can emit crunching noises when your cats step on it which can make your cats more alert than usual. This type of litter is also offered for a higher price compared to other cat litters available, which makes it not suitable for average cat owners. If you are looking for an easier way to clean up your cats’ litter box, then getting the best crystal cat litter can be a great investment. It helps you to avoid the mess that the urine and water content of the feces might cause to your litter box. However, with different options available, it is important to find one that is good for your cat. Check each one and determine which is perfect and ideal for both yours and your cats’ needs. Why Does My Cat Keep Scratching Ears? Do Cats Shed Their Whiskers?